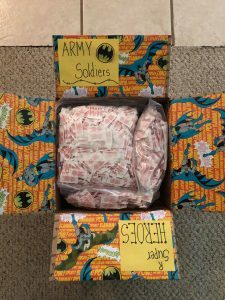 The children, staff and families at Noah and Company Day School have worked endlessly putting together over 50 military care packages. 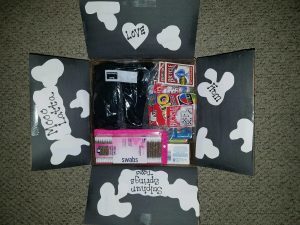 These care packages will be shipped overseas providing much needed items for a specific army division. 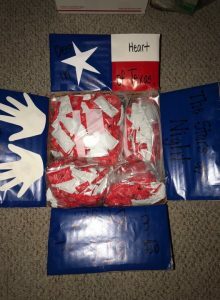 What started out as a small gesture of providing 12 care packages grew into an abundance of love for our men and women overseas. 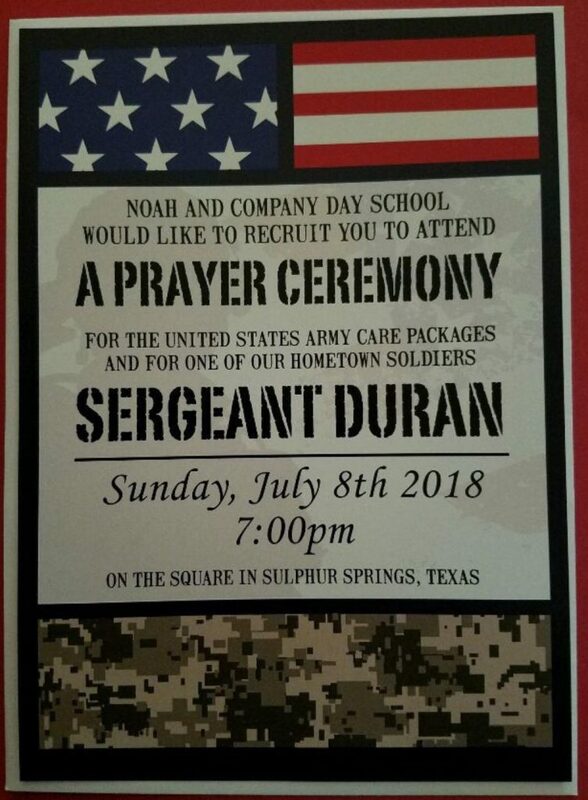 With supplying for 75 soldiers, we were blessed to be supplying for one of our own residents, Sergeant Duran. An outpouring abundance of support from local businesses helped with much needed items, we take for granted, like salt, pepper, ketchup, baby wipes, toothpaste, toothbrushes, lip balm, sunscreen, eye drops, socks, and several other essentials. 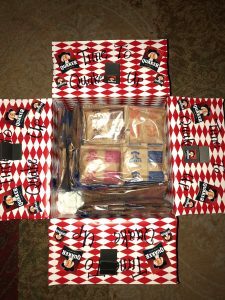 We also were blessed with 3 business supplying the cost of shipping of each each box. The total cost to ship one box is $17.40. What a blessing it is to have such a wonderful and giving community. As we gather for a prayer send off for the care packages, we would like to extend a heart felt thank you to the following business for their donations, support and help in making the well deserving soldiers, a care package to remember! We would also like to thank two of our own day school families for their service in the United States Military. Thank you to Sergeant John Rodriguez (18 plus current US Army Reserves) and Dr. Martin Fielder( United States Navy 5years).